Craig Widdison has moved back home to Wodonga to train on his own after ending a nine-year association with Peter Morgan. The Morgan-Widdison names have been officially linked for four years in the form guides but will be no more as from Wednesday it is no more. “I just decided it was time to have a go myself and head back home and make a go of it there,” Widdison told G1X.com.au. “It’s been something on my mind for a little while, I have a young family, my wife Kel’s family is from Tumut and it will be good to have their support. “My dad was a jockey who trained around the bush, I still ride all the work so the time is right." "Obviously it has been good for my profile having my name in the book." 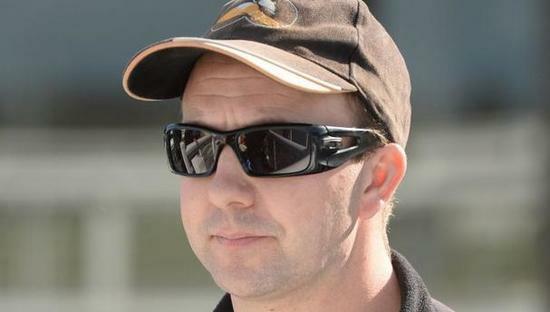 Widdison will take over the stables of Wodonga stalwart Lizzie Aalbers and initially aim to have 12 horses in work at Wodonga and grow out his operation. Widdison is indebted to his time with Morgan, which grew off the back of starting with Robert Smerdon (while at university), then Kevin Prendergast in Ireland, then Tony Vasil, then Terry Kelly, and finally Roger Hoysted, before teaming with Morgan at Talwood Park, Whittlesea. “I got to learn so much from Peter, who is a genuine horseman, and ride a lot of good horses and obviously it has been good for my profile having my name in the book,” he said. “The first horse we ran in partnership was Oasis Bloom and that night she won the (Group 2) Stock Stakes at Moonee Valley so it was a great start for me,” Widdison said. Widdison hopes clientele of their former stable like Bruce Mathieson and Michael Christian will support his break out venture and a Wodonga base does not deter him. “It’s only three to four hours down the highway to Melbourne or New South Wales is very attractive given its prizemoney levels – the Snake Gully Cup was worth $70,000 last week so there are many options,” he said. While Wednesday was Widdison’s last day officially with Morgan, he doesn’t expect to be operation at Wodonga until December. “I’ve got some young horses at the pre-trainers and it will take a few seeks to settle in,” he said. And obviously there is a cloud over Wodonga legend Brian Cox’s future as he faces racing charges that could see a long-term disqualification imposed.